SprutCAM Robot makes it possible to develop and to debug the control programs in standalone mode without using the robot itself for this purpose. SprutCAM Robot is a tool for fast calculation of complex 3D motions of the robot effectors, to a good quality and collision-free. 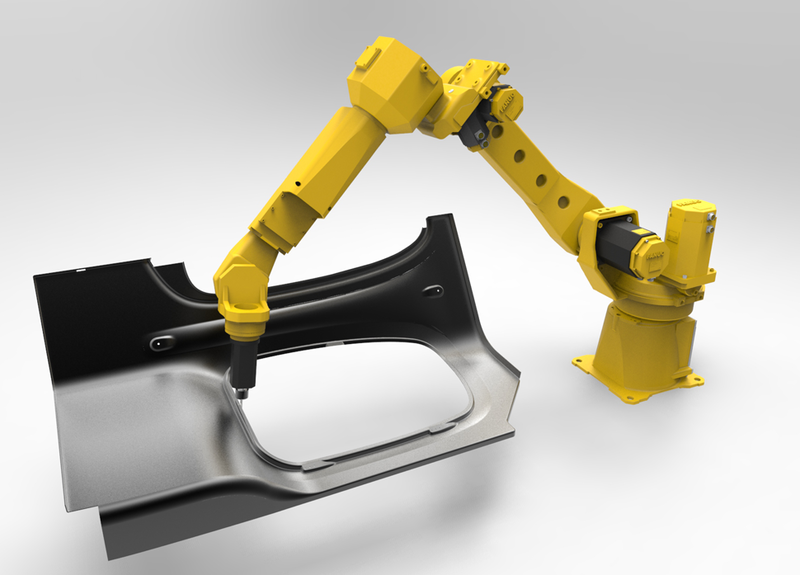 SprutCAM Robot is a solution allowing the efficient use of Fanuc, Kuka, Staubli, Yaskawa Motoman, Toshiba, Mitsubishi, Nachi, ABB and etc. industrial robots in that field of machining, where expensive 5-axis machining centers were traditionally used. 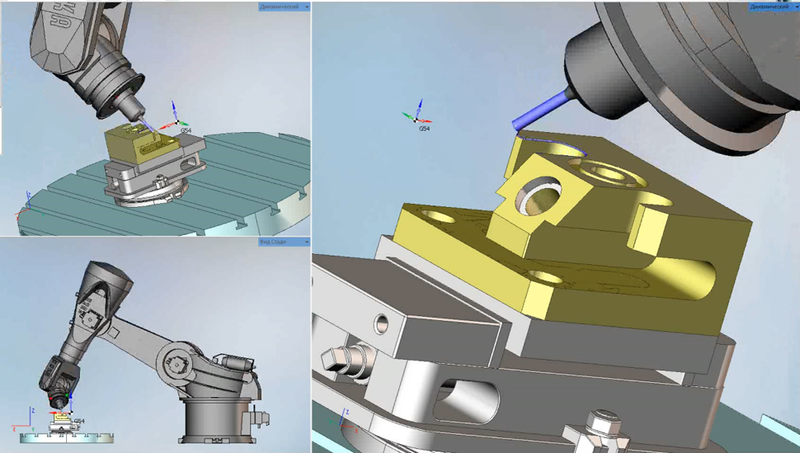 The paths of 3D model part machining for the industrial robot are generated using all the machining strategies, applied for the traditional numerical control machines with account of the specific robot kinematics. 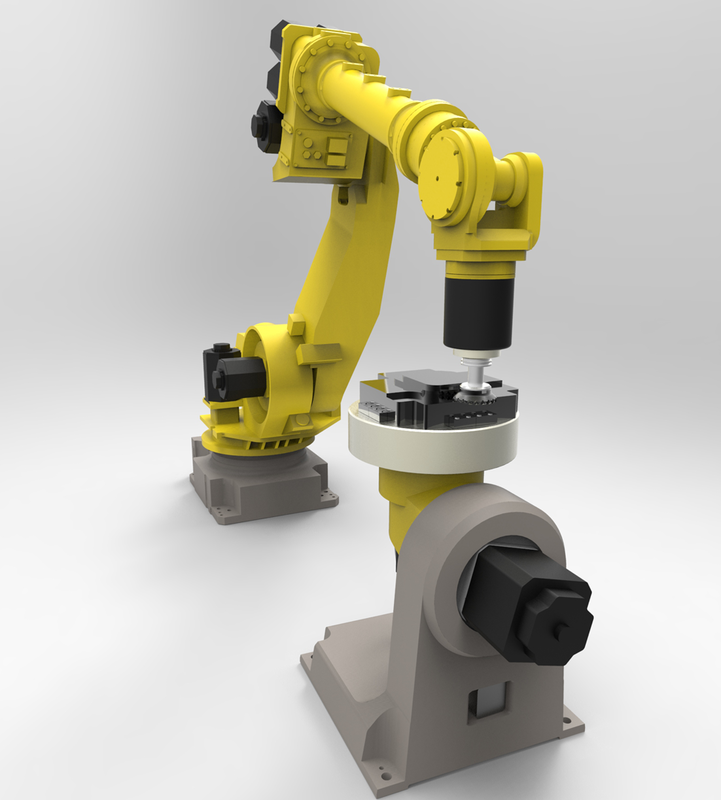 SprutCAM Robot has the robot library of the following manufacturers: Fanuc, Kuka, Staubli, Yaskawa Motoman, Toshiba, Mitsubishi, Nachi, ABB and etc. 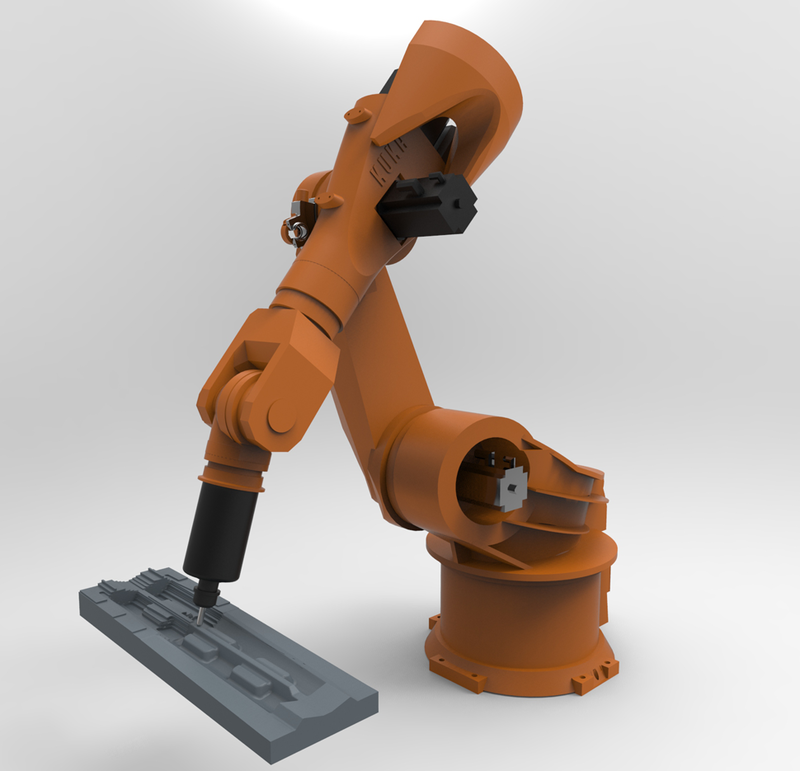 MachineMаker application enables the user to independently generate kinematic 3D models of the industrial robots of any degree of complexity and to connect them to the existing library. 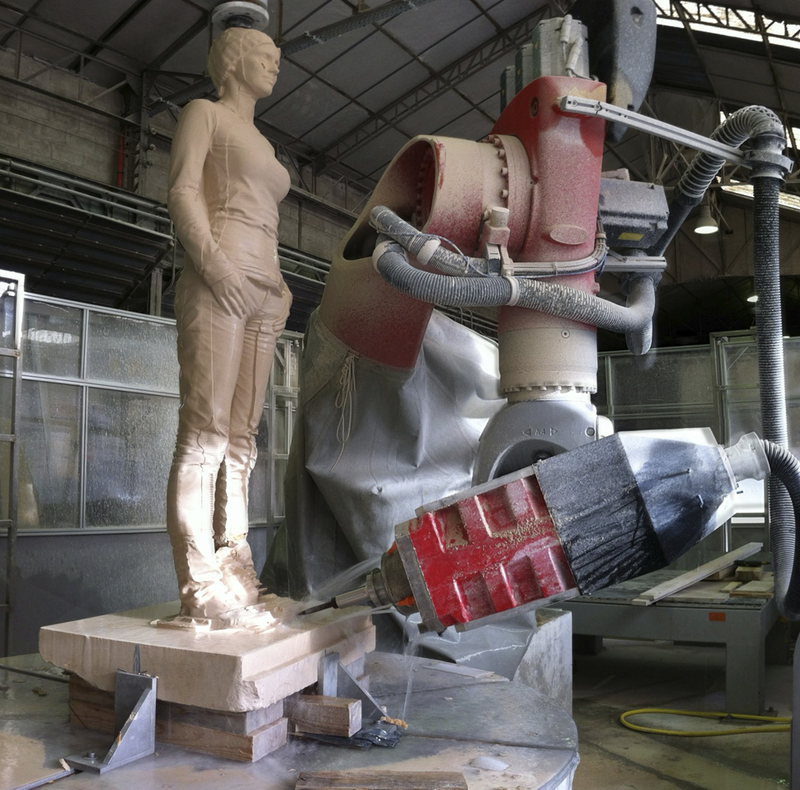 SprutCAM Robot offers the possibility to develop the control programs for 2.5D-5D milling; trimming of the curved shaping parts; arc welding; drilling; engraving; laser, plasma or hydroabrasive cutting-out of parts. Robot programming in SprutCAM Robot is performed with its position and fixation in space taken into account — vertically, horizontally, inverted, in any position inside the robotic cell. 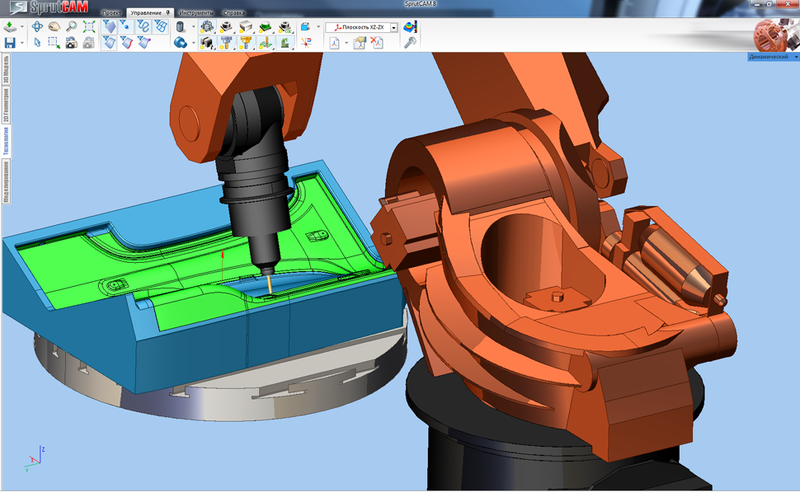 In the process of control program development machining simulation is performed, which enables to detect directly at the stage of control program development different types of problems, such as collisions, gouging, exceedance of the allowed areas of the robot’s joint motions, singularity areas both in case of cutting passes and rapid traverses. The built-in postprocessor generator makes possible to develop, to edit and to set up the postprocessors for the control systems of any manufacturer, independent from the number of axes of displacement involved in machining. 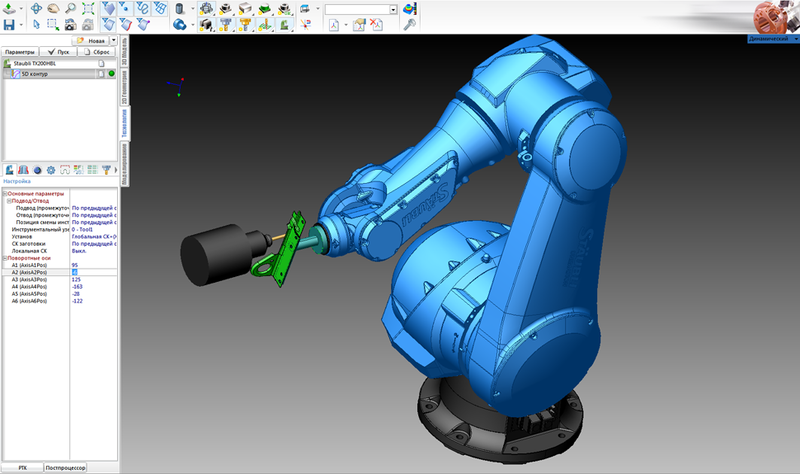 The control program is calculated with account of the linear axes and the axes of the devices for positioning of the workpiece in the work area of the robot. It provides the possibility of machining, e.g. of long parts or consecutive machining of several parts, located in the work area of the robotic cell, and also for expansion of the part access area.